Join us on Friday 10th Nov for our Rock n Roll Extravaganza Night. 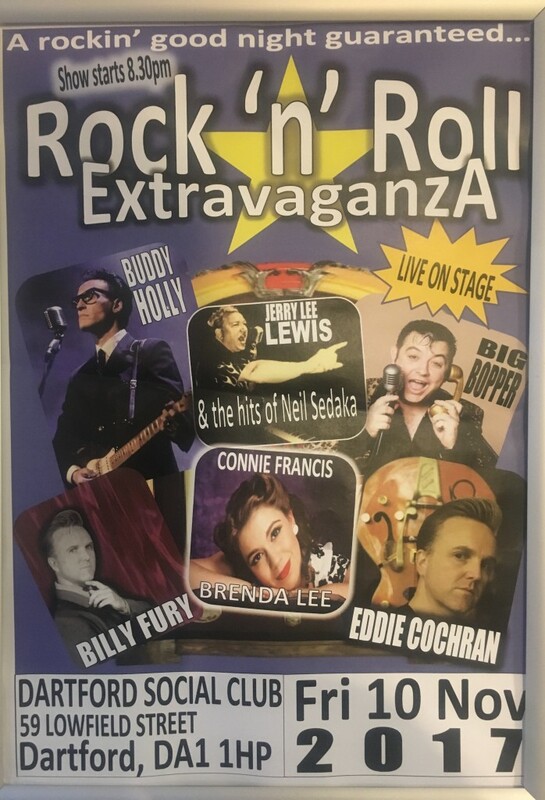 All the Rock n Roll favourites, Eddie Cochran, Jerry Lee Lewis, Connie Francis, Billy Fury, Brenda Lee, Buddy Holly & of course, The Big Bopper!! The show starts at 8:30, it’s FREE for members & just a £1 for non-members!!! Get in early to get a seat! !